This product was added to our database on Tuesday 24 September 2013. 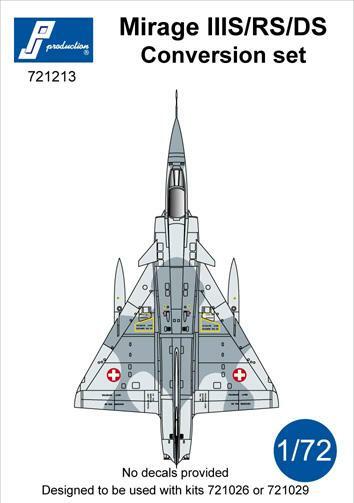 This conversion kit is designed to be used with the Mirage IIIE kit (721026) or with the new Mirage IIIBE (721029) and allows to represent the Swiss versions after modifications. The kit contains about 10 resin parts; one clear resin nose and a fret of photoetched parts as well.